Catalogue Printing and Print Management: why choose us? Are you are planning to run a marketing campaign to spread the word about your company and services? Contemporary marketing is more about how well you can represent your brand. So here, you need the services of an expert catalogue printing company to help you in spreading the word about your brand through creatively designed marketing that communicates with prospects convincing them to do business with you. With Cliffe Enterprise print management, you have access to some of the top catalogue printing companies in UK. Your marketing material is your connection with your audience. This means there is no room for mistakes in your catalogue printing project. So as you plan to create marketing collateral for your business, it is essential to seek professional help from an expert catalogue printing company. Catalogues are effective in boosting sales and offer immense marketing value. Beautifully designed catalogues clearly outline the variety of products and services on offer to entice customers. As one of the top catalogue printers in the UK, we can help you create visually stunning catalogues to appeal and catch attention of your prospective clients. A catalogue is one of the most effective ways to advertise large numbers of different products in a single promotional piece. A good catalogue essentially functions like your shop window. A positively inspiring copy along with immaculate design and layout can make or break a deal when it comes to catalogue printing. This is exactly what the print management team at Cliffe Enterprise focuses on. Our expert catalogue printing team produce catalogues on a continuous basis and contract with other leading catalogue printers in our strategic partnership programme, enabling us to offer you the very best results in catalogue printing. We are here to advise you about the most suitable paper stocks, catalogue sizes, finishing styles and postal costs implications to help mitigate costs and maximise your budgets. Our print management expertise helps us to deliver a high quality product that is capable of being mailed to your customers and prospects at the most competitive rates available. Catalogue printing is an ideal way to promote your business’ key selling points. Catalogue printing offers you the customer a distinctive form of advertising that is both memorable and eye-catching. By outsourcing your essential printing needs, Cliffe Enterprise will deliver a cost-effective strategy that holds only the highest of standards. At Cliffe Enterprise we only offer a quality catalogue printing service that encompass all forms of printing technologies.So when your prime focus is on producing a successful catalogue, we can provide you with a print management professional that is familiar with the nuances of print and can provide you quality solutions to your needs. 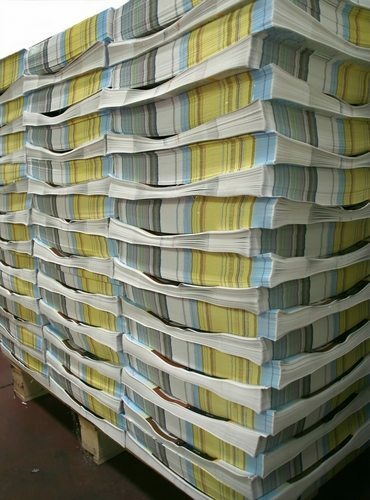 At Cliffe Enterprise we have a highly skilled and motivated team of catalogue printing experts. We understand the importance of creating high quality, vibrant and professional catalogues that will help you stay ahead of your competition when promoting your products and services to existing and potential new customers.